PORT CHARLOTTE, Fla. — They weren’t trying to change the whole game, just their own. They were secure enough to try, humble enough to allow that the whole thing could be very, very flammable. They let everyone laugh or grouse or turn away, whatever. In the end, as it happened, most were also taking notes. So the Tampa Bay Rays won 90 games and had sparked, if not a movement exactly, certainly an inclination to reconsider the best way — or still another way — to 27 outs. That it didn’t look quite right, they’d leave others to judge, many of whom won fewer than 90 games. So. What might’ve appeared to be some newfangled funk was, actually, the oldest of old school, which is trying to win a baseball game. That means standing where you think they’re going to hit it. That means using the pitcher best qualified in the moment. Sometimes risking something for the greater good. Winning, and not being afraid to look a little goofy doing it, if that’s what comes. In case you think the 90-win thing was a fluke, as if it could be, remember the Rays required 87 of those after April 15, at which point they were 3-12. And that from then on they were eight games worse than the 108-win Boston Red Sox and 5 ½ worse than the 100-win New York Yankees, which, granted, is still not as good as the Red Sox or the Yankees, and that continues to be the job. The experiment isn’t really an experiment anymore, not when you pop the second-best team ERA in the American League, better than the Red Sox or Yankees. And not when plenty of other teams went along, including in October, a month everyone takes very seriously. So the plan today is to run Blake Snell, Charlie Morton and Tyler Glasnow to the mound as regular — let’s say traditional — starters and employ openers for as long as it requires to get from Glasnow’s turn back to Snell’s, whether that’s one game or two or more. Snell was the AL Cy Young Award winner, Morton won 29 games for the Houston Astros over the past two seasons and will be paid more this season ($15 million) than any Ray ever (more than David Price, more than Evan Longoria, more than Carl Crawford, more than James Shields), and Glasnow, at 25, could be a stud. 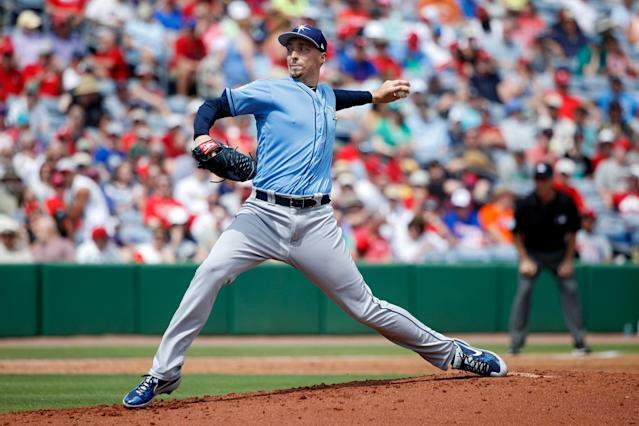 Bloom said Monday that maybe, some day, the Rays could develop and employ a traditional five-man rotation again, that openers and bulk guys are the result of the daily evaluation of who they are. That is, they do not recruit or develop players into the opener system as much as the opener system reflects where they are. Today. Assuming today doesn’t belong to Snell, Morton or, for the moment, Glasnow. 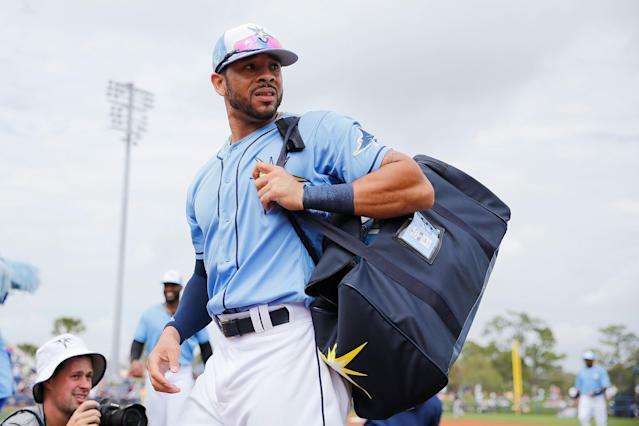 The point being, view the Rays as merely plucky or pesky — and not a team built and inspired to at least hang with the big fellas in the AL East — at your risk. They’re not as vulnerable as their recent history (one winning season in the past five), or payroll (maybe $50 million), suggests. They’re actually quite capable and deep and, it seems, confident. He grinned at the idea of what is coming. Morton threw five innings Monday, pitched well, and afterward reached for what he believed about a team he’s known for only several weeks and hasn’t yet played an official game with. Evaluations are wispy this time of year, that he knows. There’s no sense guessing when everyone will know soon enough. Indeed, there’ll be no hiding it. But, beyond that, he has gotten an idea of, he said, “Are you feeding off each other or taxing each other,” and so far it looks good. The thing about the Rays, you expect them to be different and they do not disappoint. You even, sometimes, wonder what they’re doing, and then it makes sense. Some years they win because of it. Others, they don’t. But they take on the notion of tanking, as they were accused just months before they knocked out those 90 wins. And they ask two or three or four of their starters to get two or three or four outs, and they don’t win in spite of it, they win because of it. They post a $50-million payroll, which isn’t near enough, until it is. So here they go again. Instead of grousing about it, best probably to just take notes.